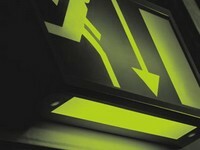 It is vital that emergency lighting comes on if the normal lighting fails. It needs to be sufficiently bright, illuminated for enough time, and the light sources so positioned that the occupants of a building can be evacuated safely in an emergency. BS5266 Emergency Lighting, the Code of Practice for the emergency lighting of premises, offers guidance on the positioning of emergency luminaires, minimum height levels, acceptable glare levels, together with minimum routine testing schedules. RAYDAW FIRE PROTECTION is committed to providing its customers with the highest level of service and support, from initial design concept through each stage of installation to the maintenance of the system throughout its operating life. The following is a summary of just some of the areas of support offered by our team of fully trained service and support engineers. Get your fire certificate In order to gain and maintain a fire certificate, documented proof of system maintenance must be available. Failure to service your equipment not only puts the future of your business at risk, it endangers lives.